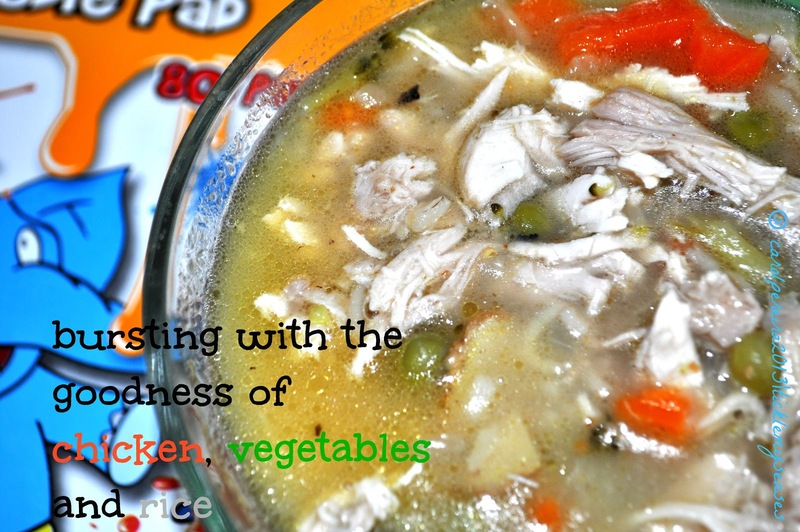 Tickle My Senses: Hearty chicken soup with vegetables and rice and an Announcement !! Well the weather continues to be cold and windy and there seems to be no respite from the rain. This week Baby A has had his 2 year development check and everything seems to be in good working order :). Now all that is left to do is to reduce the amount of milk he has during the day ( ooo he does love his milk :)) and replace it with a nutritious meal. I've learned from past experience with Baby A that the quickest way to get anything solid into his tummy is through a bowl of soup. So apron donned I made him this delicious simple chicken broth, filled it with a handful of veges, a good serving of chicken, not forgetting the carbs (some rice). What can I say....it worked!! He loved it :))) A few pinches of pepper and adults would love it too. Do try this soup out, Id love to know how you got on. 2. Add yoghurt fry well till almost dry and brown, add flour, fry well for another 2 mins on a low flame till brown stirring constantly. 3. Add chicken, vegetables and 1 large cup water, rice, salt and pressure cook for 5-6 whistles. Turn off flame allow pressure to drop. Open the cooker. Keep chicken pieces aside in a seperate bowl, try to fish out all the whole spices and discard. Using the edge of the spoon try to chop up vegetables into smaller bits. 4. Add hot boiled water to the soup in the cooker if needed to thin it down a bit if required. Shred the chicken add to the soup. Adjust salt, squeeze over lemon juice. Serve warm. 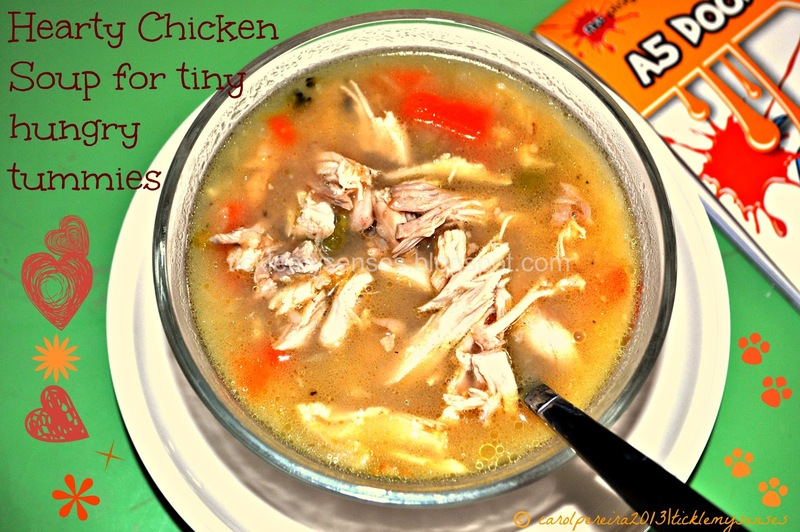 Once soup is ready, keep the cooked chicken pieces aside. Pour the entire soup through a strainer into a bowl, adjust the seasoning, add shreds of chicken, serve warm. This is to Pre-Announce a very special Giveaway at 'Tickle My Senses'. In the next couple of weeks I will put up an 'Official Giveaway Announcement' with more details on the what's, why's and when of the Giveaway.. ...but for now.... for the naturally inquisitive the first question must be ' what ', exactly, is in the pipeline? Well, one lucky person anywhere in the world, is going to get a brand new copy of one of my favourite cookbook's..... Well.......What say you?? If you wish not to miss any of the giveaway announcements make sure you join me on this blog or on Facebook.....till my next post, keep warm, be happy and keep yourself fed !! Yum! 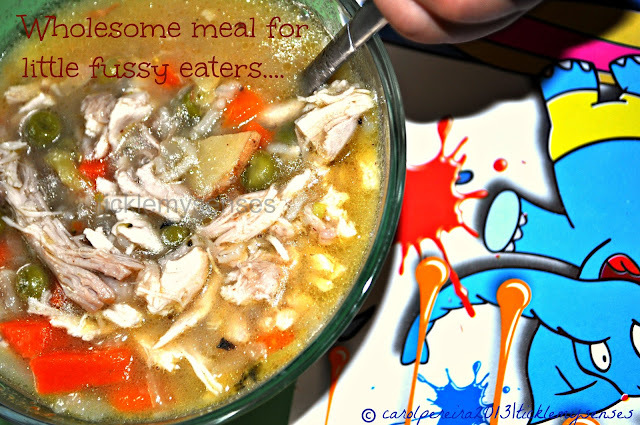 I love chicken soup..the idea of adding yogurt and flour is new to me. Will surely try making this..Thanks for sharing the recipe.